The church is located at 440 Whilden Street in Mt Pleasant, just two blocks from Shem Creek. A nursery is available only if indicated. 7:30 pm – Contemporary Christmas Eve Service with the Worship Band & Choir – Charleston Music Hall. Doors open at 6:30 pm. (37 John Street, Charleston – don’t confuse Charleston Music Hall with the Music Farm). Park at the Visitors’ Center Garage, one block away at 63 Mary Street. Parking is free after 4 pm in City-owned garages. 4 pm – Contemporary Christmas Eve Service at the Music Farm (32 Ann St, Charleston). Sunday, December 23 – 9 am – One service only. Children’s Ministry provided. 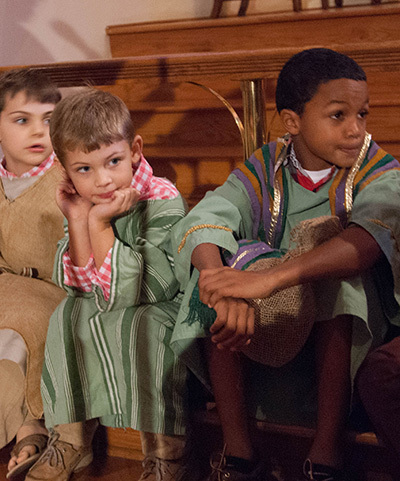 Sunday, December 30 – 9 am – One service only, Lessons, Carols and Communion. This special worship involves several readings, read by children and adults, interspersed with Christmas carols, a message and ending with communion. There will only be a nursery for this service.